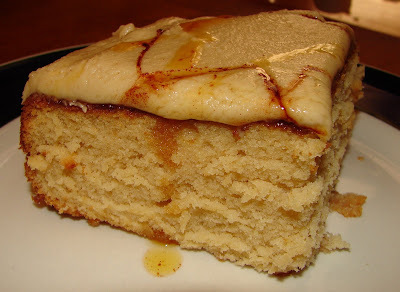 The Daring Bakers challenged members to make a Caramel Cake for the November challenge. This challenge was hosted by Dolores of Chronicles in Culinary Curiosity, helping host this month were Alex (Brownie of the Blondie and Brownie duo: http://blondieandbrownie.blogspot.com/), Jenny of Foray into Food (http://forayintofood.blogspot.com/), and Natalie of Gluten-a-Go-Go (http://glutenagogo.blogspot.com/). 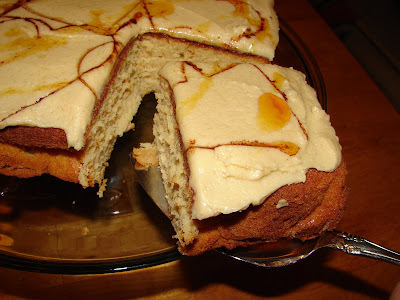 The recipe, Caramel Cake with Caramelized Butter Frosting, is courtesy of Shuna Fish Lydon (http://eggbeater.typepad.com/), as published on Bay Area Bites (http://blogs.kqed.org/bayareabites/). I am a huge fan of caramel, I don't actual have it to eat that often, but it is a preferred flavor for me, even over chocolate, so I was excited to try my hand at making this cake. 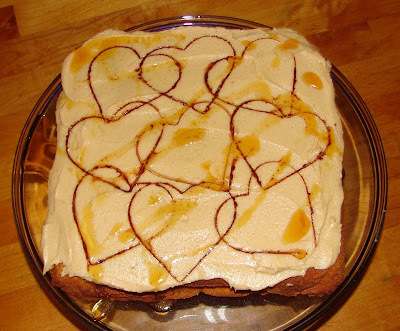 I had so much going on this month I ended up making the cake this morning, yep, being totally honest here :) Thank goodness it came together very easily, from the caramel syrup, the cake, to the browned butter frosting, this was an easy to follow recipe and yeilded a delicious cake. 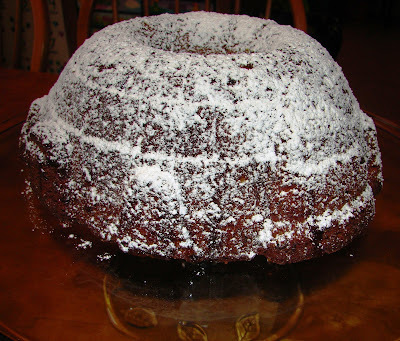 It was very moist and rich and the frosting just took it over the top. I make this ooey gooey sticky caramel bread treat a few times a year, it is a real favorite around here for holiday breakfasts. 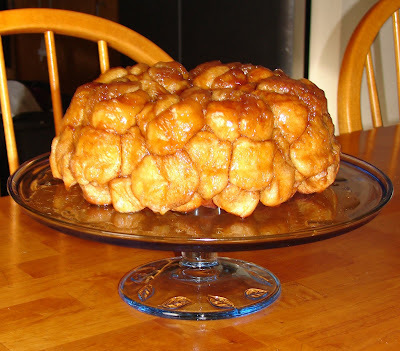 I had never heard of monkey bread until I married my husband, but as soon as I did I knew I would love it. I've tried lots of different recipes but this one is my favorite -- so far -- I'm not opposed to trying more :) There are tons of variations, some have nuts, raisins, even blueberries, and there is even a savory version I've tried with Italian seasonings and parmesan cheese, which is just perfect with a spaghetti dinner. 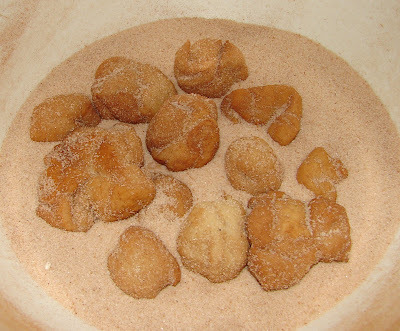 I think this cinnamon sugar one is the more classic version, pretty much small pieces of dough are rolled in cinnamon sugar, positioned into a bundt or tube pan, layered with some caramel syrup, then baked. When finished in the oven you invert it onto a serving plate and watch the caramel drip down the sides, yeah, this is a messy little number. Let it cool for just a bit, you don't want to burn yourself, but this is best served warm. 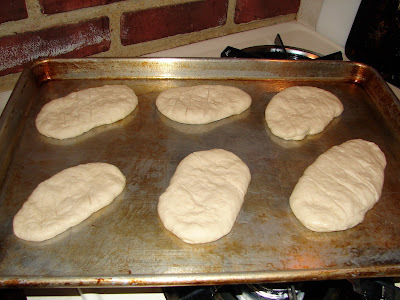 An easy way to get little dough chunks it to lightly flatted out your dough, like for a focaccia, then cut into strips, then cubes, with a pizza cutter, after that the kids can help by rolling the dough into little balls and dropping them into the cinnamon sugar. 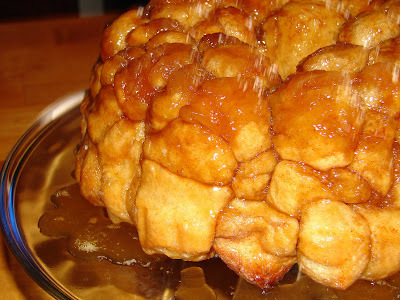 I can't wait to see what family favorite recipes everyone else has to share for My Kitchen My World Be Thankful Week. Just a quick post today for Tyler Florence Fridays. 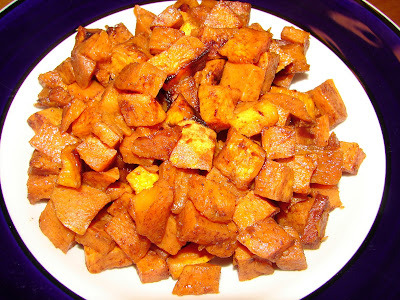 I decided to switch up the usual sweet potato casserole for Thanksgiving yesterday, and made Tyler's Roasted Sweet Potatoes with Honey Butter. 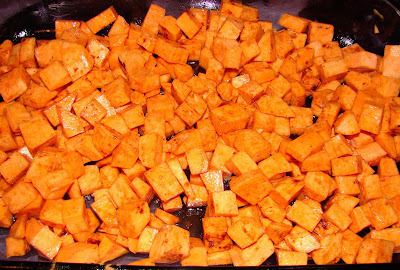 They were great, I am a sweet potato fan and have roasted them before but never with honey and that added a nice touch. 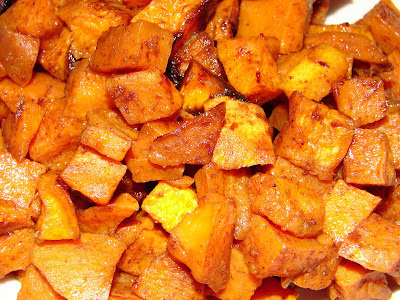 I halved the recipe, only using 2 large sweet potatoes, and that made plenty -- a whole 9 by 13 pyrex dish full! Happy turkey and pie Day! I hope everyone is having a wonderful start to this very special day! I'm busy in the kitchen, but sneaking over to the computer for just a minute for a quick Barefoot Bloggers post. Judy from Judy’s Gross Eats picked the last BB recipe for November, Ina's Mexican Chicken Soup which can be found in Barefoot Contessa at Home. I changed this recipe around a bit...I left out the chicken, used vegetable broth instead of chicken, doubled the veggies and added corn, and also used dried cilantro instead of fresh. 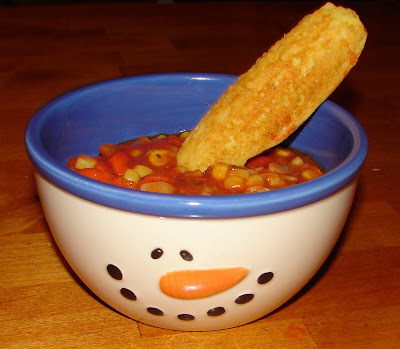 Loved this soup! 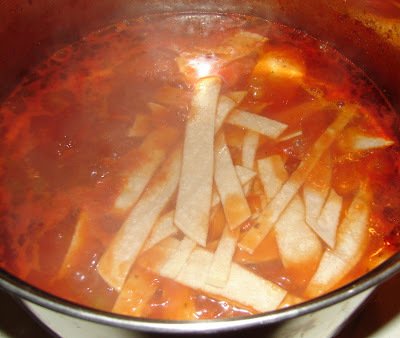 This was the first tortilla soup I've ever had and the flavors were amazing. I wasn't even sure if it would turn out since it's supposed to be a 'chicken' soup but after making this for dinner last night with some cheddar cornbread sticks I know that this will be made again and again. Thanks, Judy! I hope everyone has a wonderful holiday with family and friends or however you chose to spend this day! 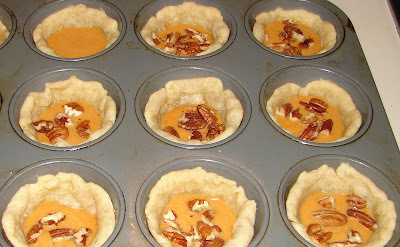 This recipe for a "Thanksgiving Twofer" pie (chosen for TWD by Vibi from La Casserole Carrée ) was one of the recipes I noticed on my first flip through of Dorie's book Baking From My Home To Yours, way before I had even heard of Tuesdays with Dorie. I thought it sounded like a fun recipe and wondered when I would get the chance to try it. It was worth the wait! I like pumpking pie, and I love pecan pie, so this was a win win pie for me. 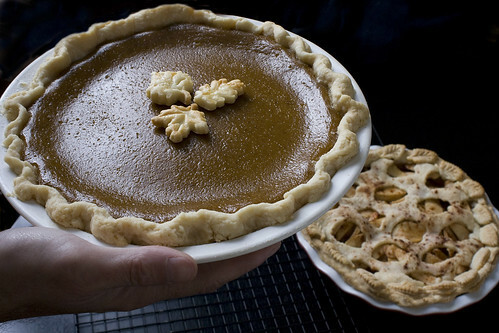 I would say I'm a huge pumpkin fan, I love pumpkin in sweet and savory dishes; pastas, soups, breads, pancakes, whatever. My oh-so-picky husband oh the other hand, absolutely loves pumpkin pie, it's his second favorite pie next to apple, but does not like pumpkin in most other recipes, and he hates it in savory dishes. He also doesn't like pecans, at all. Isn't it funny how our tastebuds are all so different? 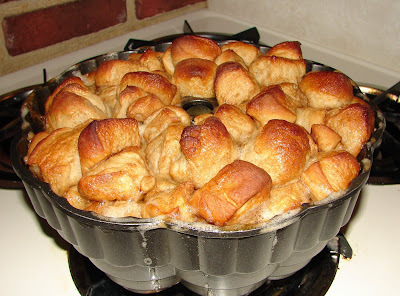 Even though I had my eye on this recipe for a long time I put it off until Monday to make it! I guess I was debating about serving it for Thanksgiving, but not wanting to make the whole pie because hubby doesn't like pecans. 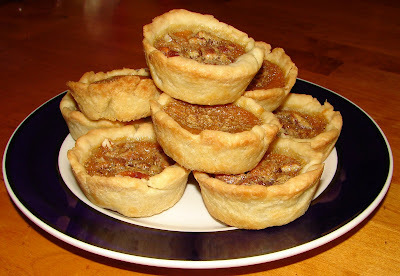 I decided to halve the recipe and make little bitty Twofer pies in a muffin tin. Halving the recipe was fairly easy, I used one egg for the pumpkin pie filling and one egg for the pecan pie filling, and just halved the rest of the ingredients. I decided not to use Dorie's crust this time around, I used it for the TWD blueberry pie and the TWD summer fruit galette and wanted to try something new this time around. I ended up using Martha's recipe which also starts out in the food processor. 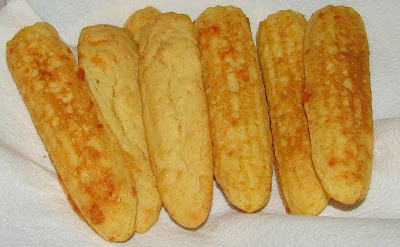 I appreciate that it was very easy to make in the food processor and also very easy to roll out. For baking I just guessed on the time and temperature, and it worked perfectly! I used a muffin tin for the pies and pre-baked the crusts for ten minutes. 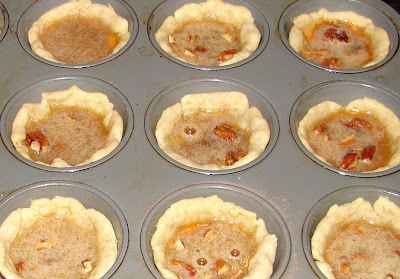 Then after filling the pies I put the muffin tin on a single ply cookie sheet to prevent over browning on the bottoms. I baked the pies for 15 minutes at 350, then slid the muffin tin off of the cookie sheet straight onto the oven rack and baked for an additional 5 minutes (still at 350) -- my oven did it's magic and these little bitties were perfect! 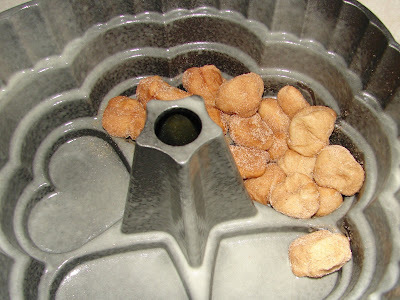 I let them cool in the pan for about 10 minutes before carefully removing them to a wire rack to cool completely. 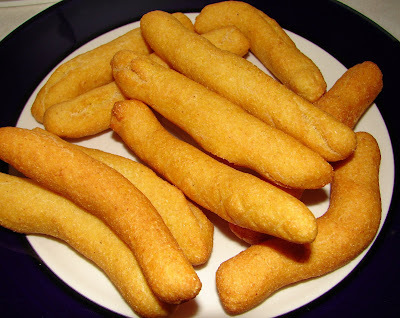 The kids loved them as a special treat and I have to say I did too! I made a few with no pecans (just the pecan pie filling) for my husband and one year old. 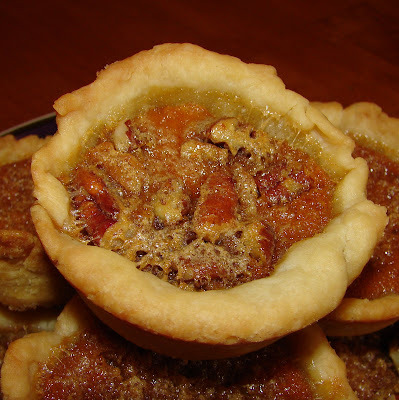 This recipe is everything I had hoped it would be, I loved the combo, it wasn't too 'pumpkin pie-ish' -- more like a pecan pie with a hint of pumpkin. 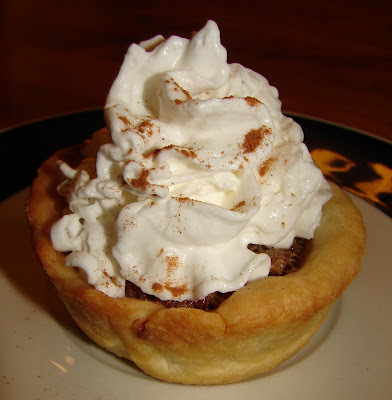 I can see making these little pies again for sure! Thank you Vibi, from La Casserole Carrée , for our TWD pick this week! 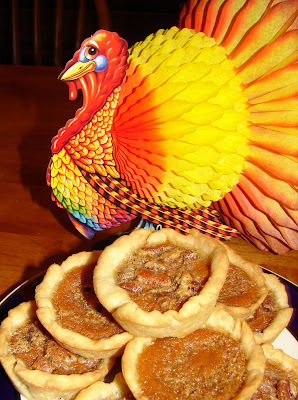 Please visit Vibi's website for the complete recipe for Thanksgiving Twofer Pie. I hope all of my TWD friends have a wonderful holiday, see you next week when we tackle some holiday cookie baking! This week the My Kitchen My World gang picked recipes from Iran to try, thanks to Elra of Elra's Cooking , who has amazing recipes and beautiful photography on her blog that I just love to visit. 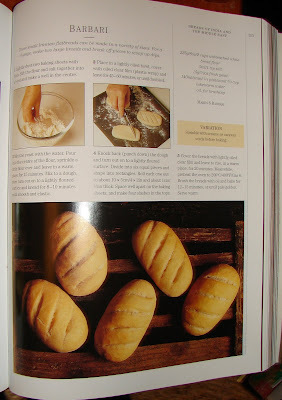 It was quite a coincidence that Elra chose Iran because I was just looking through one my favorite bread baking books and wanting to try the Barbari Breads, described as small Iranian flatbreads, and thought to myself, "when someone from My Kitchen My World picks Iran I will give these a try for sure." To go with the breads I found this recipe for Persian Rice with Walnuts. 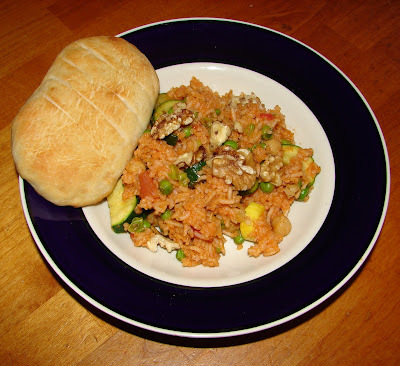 I really enjoyed the flavors of this dish but wasn't sure what rice would be best to use, my white rice usual is jasmine rice, but I had just bought some basmati and used that for this dish, and I think there was a little too much liquid and my rice was a little softer than I like. Other than that the recipe was great, I halved it and it still made a huge amount of food. My kids surprised me by actually tasting this dish and having it for lunch. 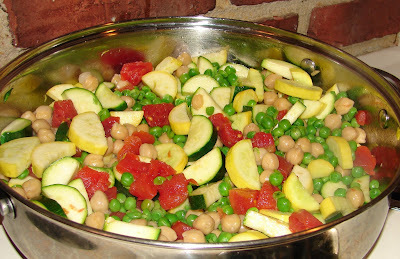 My oldest son picked out and ate every last vegetable, and especially liked the garbanzos. My daughter picked out and ate the peas and garbanzos and also a few bites of the rice. My baby loved it all, he is such an adventurous eater. and here are the veggies before being added to the rice. Tyler Florence Fridays, a fun new food blog group where everyone gets to chose a Tyler Florence recipe to make, review, and share. 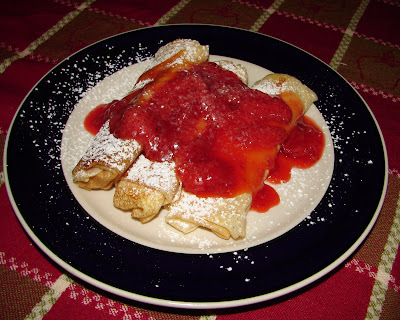 This week I chose Tyler's Ricotta and Orange Blintzes with Strawberry Sauce. They were amazing! 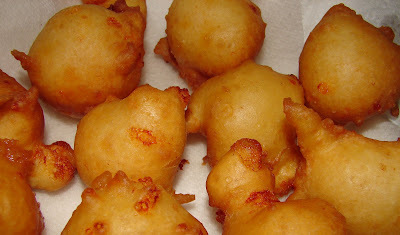 I love blinztes but my husband is not a fan so I don't make them often. 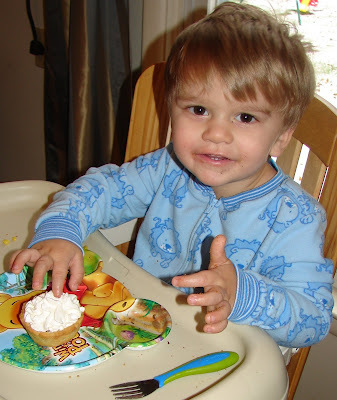 This was the first time my children have had blintzes and they are hooked, yay! I mean, how could you not be? 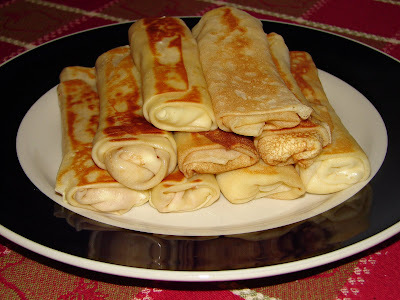 In case you haven't had them before, blintzes are pretty simple - crepes, filled with a cheesy filling, fried in butter, and usually served with a fruit sauce. My oober picky husband does not like crepes, ricotta cheese, or cream cheese, so these were a no go from the start for him. I made them while he was at work and invited my mom over and then three generations got to enjoy these lovely treats. I used my VillaWare Grand Crepe Maker which makes big crepes which equal big blintzes, traditionally they are a little smaller, but no one has complained to me yet. Tyler's crepe batter is easily prepared in the blender, super easy and you can just pop it in the dishwasher for clean-up. Instead of frying in a pan I used my electric griddle which worked really well and made it possible to 'fry' all the blintzes at once. 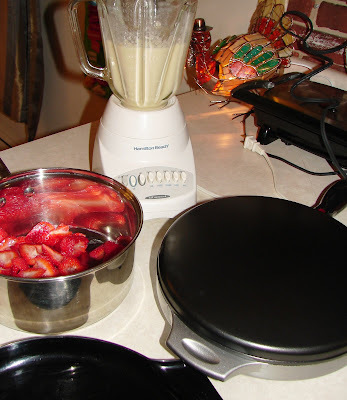 Make the batter: Combine the milk, water, eggs, flour, sugar, and salt in a blender. Blend on medium speed for 15 seconds, until the batter is smooth and lump-free. Scrape down the sides of the blender and pour in the melted butter. Blend it again for a few seconds just to incorporate the butter. 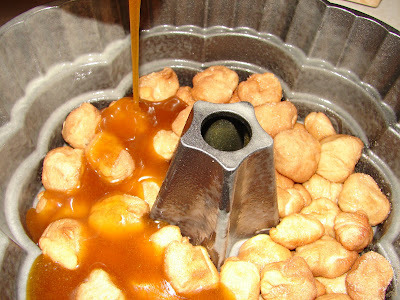 Refrigerate the batter for 1 hour to let it rest. Make the filling: In a small bowl combine the ricotta cheese, cream cheese, egg, confectioners' sugar, and zest and blend until smooth. Chill until ready to use. Make the sauce: Combine the strawberries, sugar, water, cornstarch, and zest in a small pot over medium heat. Bring to a simmer and stir gently until the berries release their natural juices. The consistency should remain a bit chunky, it will thicken up when it cools down. Make the crepes: Put an 8-inch crepe pan or nonstick skillet over medium heat and brush with a little melted butter. 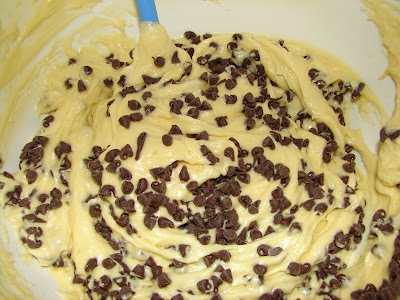 Pour 1/4 cup batter into the pan and swirl it around so it covers the bottom evenly; pour back any excess. 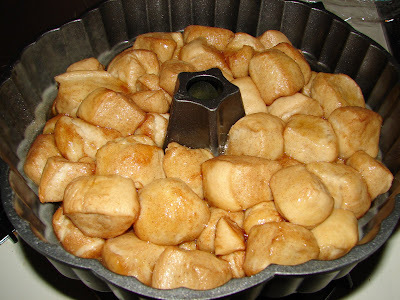 Cook until the crepe batter sets and the bottom is lightly browned, about 2 minutes. Use a heatproof rubber spatula to loosen the crepe and flip it. Cook it on the other side for about 1 minute. 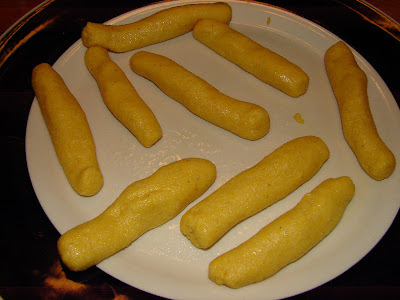 Slide them onto a plate and continue making the crepes until all the batter is used. Cover the stack with a towel to keep them from drying out. Makes about 10 crepes. Assembly: Preheat the oven to 400 degrees F.
Spoon 1/4 cup of the cheese filling along the lower third of the crepe. 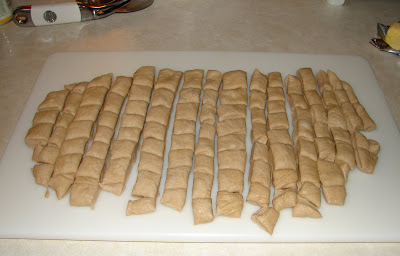 Fold the bottom edge away from you to just cover the filling; then fold the 2 sides in to the center. Roll the crepe away from you a couple of times ending with the seam side down. Put an ovenproof skillet over medium heat and brush with melted butter. Pan-fry the blintzes top side down until crisp and golden, about 2 to 3 minutes. 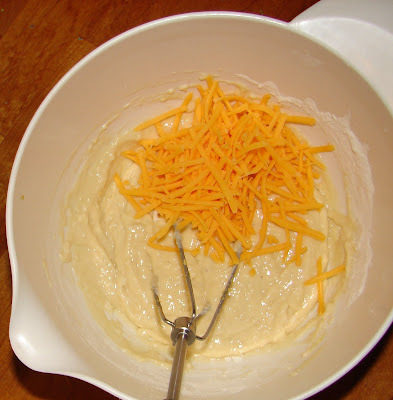 Flip them over, transfer the pan to the oven, and bake for 10 minutes so the cheese mixture sets. Using a spatula, transfer the blintzes to serving plates. Spoon the strawberry sauce on top, dust with confectioners' sugar, and serve immediately. 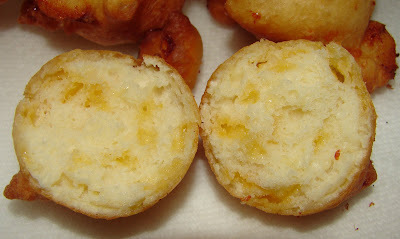 Look at that little peek of the delicious ricotta filling in the corner, yum! 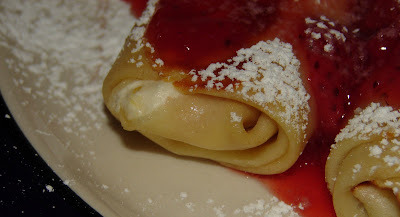 This is the perfect recipe for easy at home blintzes, my mom was commenting how these would be perfect for a holiday brunch. 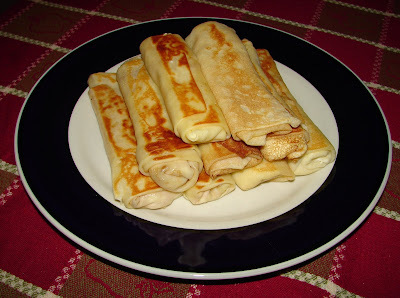 The kids are already asking when we can make more blintzes, and I personally loved these and how easy they were, this recipe will be made again for sure! Today we have TWO special Barefoot Bloggers bonus recipes! The first one was chosen by Deb of Kahakai Kitchen, who referred the most members last month to the Barefoot Bloggers site. 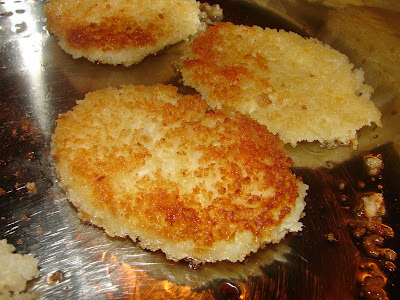 Deb picked a savory treat from Ina's new cookbook, Back to Basics -- Chive Risotto Cakes. Doesn't the name just let you know you will love these? 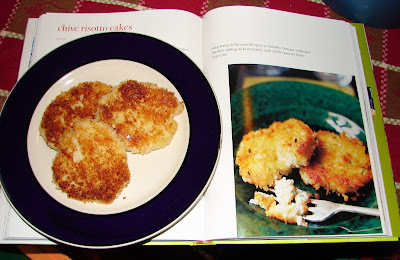 I didn't have chives to just went with plain risotto cakes, and yes, I loved them! The risotto mixture consists of boiled risotto, fontina cheese, an egg (recipe calls for two but me being the anti-egg had to drop it down to one), and is dredged in panko breadcrumbs before being pan fried to give it a super crispy outside texture with a cheesy rich middle. The risotto mixture is supposed to rest in the fridge for a couple hours or overnight but I did not have time, and ended up adding abot 1/4 cup all purpose flour to thicken the mixture up. Perfect! I did end up using just a few grinds of sea salt in the risotto mixture, after boiling the risotto in salted water I did not want my cakes to be too salty so erred on the side of caution, figuring you can always add more salt but you can't really take too much away. 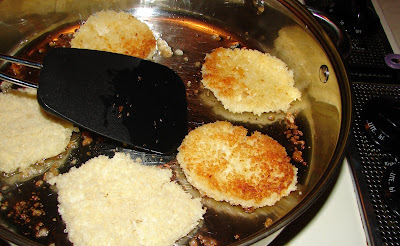 Here is a link to the recipe if you want to try it for yourself -- Chive Risotto Cakes. Ina's book mentions how Danish Fontina is inferior to Italian Fontina, something I had no idea about, I usually buy Italian Fontina but last Sam's Club trip I saw imported Swedish Fontina and wanted to give that a try. 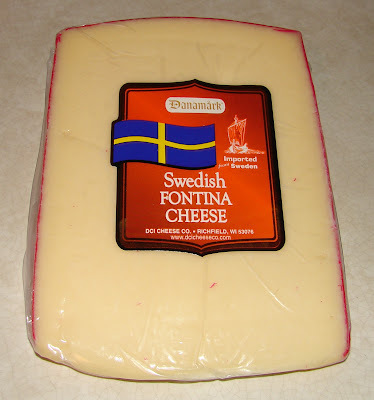 I much prefer the imported Swedish Fontina to my usual Italian import, it had so much more flavor but was also less creamy -- since I mostly shred the cheese I did not mind the 'uncreaminess' :) I wonder how Swedish Fontina and the apparently not so great Danish Fontina compare? Hmmm, I see a cheese tasting in the future. The second bonus recipe this month was chosen by Lisa from Lime in the Coconut for creating our new group avatar, she chose Ina's Mini Orange Chocolate Chunk Cakes. 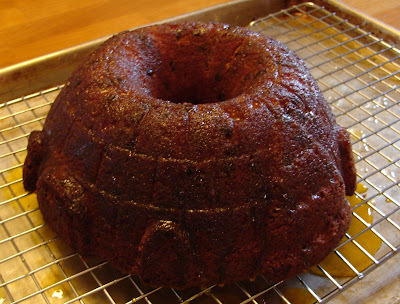 I had read that lot of people used that recipe in a bundt and really wanted to try out my new igloo bundt, perfect! This cake was wonderful, I love the chocolate orange combination, but of course my husband didn't like it. "Too chocolatey, too orangey," he said, and handed the rest of his piece to our three year old who was happy to finish it for Daddy. 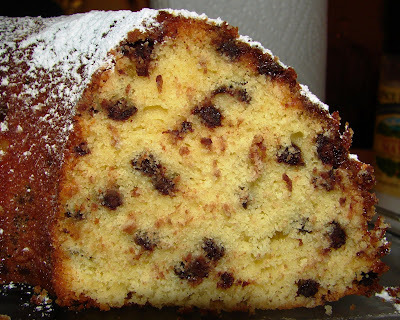 Here is a link to the recipe: Mini Orange Chocolate Chunk Cake -- from Barefoot Contessa Parties, page 206. Changes I made were to use mini chocolate chips instead of chunks, and to leave off the chocolate glaze and replace it with powdered sugar. After baking we drenched the cake in a simple orange syrup -- yum! I couldn't get a good photo showing the detailing of the bundt but it did turn out really cute. 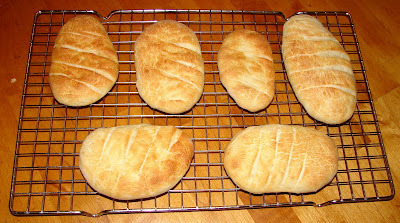 I am happy to have had a chance to tackle both bonus recipes this month with the Barefoot Bloggers group. 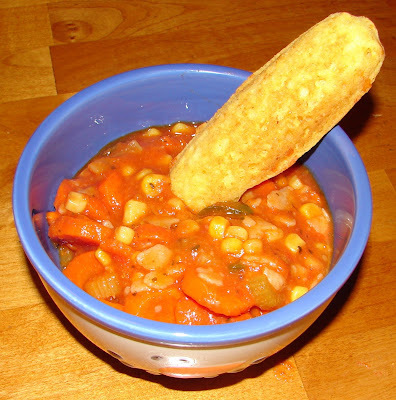 We do have one more recipe to be posted on Thanksgiving -- a yummy sounding Mexican soup -- which will be lunch or dinner sometime later this week. Speaking of Thanksgiving can you believe it's only one week away?!? Time for another Tuesday with Dorie! 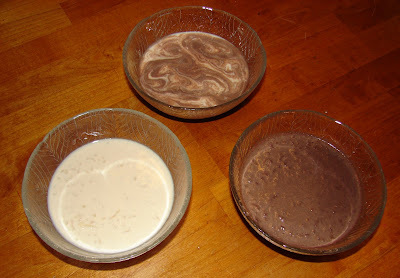 The treat of the week was Arborio Rice Pudding - Black, White, or Both; chosen by Isabelle of Les gourmandises d’Isa . 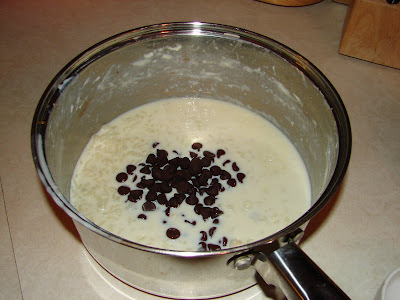 I was really excited to try this recipe because it sounds just perfect, creamy arborio (risotto) rice, milk, sugar, vanilla and optional chocolate, and no egg -- yay! I remember being little and going to the local Coney Island restaurant with my mom and getting creamy rice pudding, it was usually warm with lots of cinnamon baked on top, I'm thinking it may have had raisins as well. I don't think I've really had much of it since then, but was happy to give Dorie's recipe a go. Sadly, there was an error in the cook time of the recipe, it should have read 55 minutes instead of 35, confirmed by Dorie herself at the TWD site, after many TWDers (myself included) commented we had trouble with soupy rice pudding that was no where near "set." Oh-well. It was still tasty and I know that if the recipe had been printed correctly it would probably be a winner. 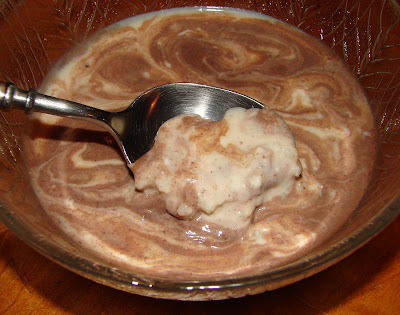 If I do try this one again I will probably add raisins (I know, some of you are probably thinking - yuck - sorry, but if you are a raisin fan it is really a nice touch) and cinnamon on top and serve it warm to recreate my childhood memory of rice pudding for my kiddos. I split the pudding into thirds and did half chocolate, half vanilla, and a swirled one. They were all equally yummy -- the only problem being the consistency. Semi sweet chocolate chips to make it 'black' :) I bet this would be been really dramatic looking if I had added some of the Hershey's Special Dark cocoa -- will have to remember that for next time. I hope that everyone else "got the memo" about the printing error in cooking time and you all had some wonderful rice pudding this week! This week, My Kitchen My World bloggers "visited" Puerto Rico! This was a tough week for me finding recipes, I was really wishing I had a Puerto Rican cookbook instead of having to google away and not coming up with much. I also tried a random Puerto Rican Beans & Rice recipe I found online. The beans and rice were different, they had red wine vinegar in them which is a flavor I really like but am not used to in beans. 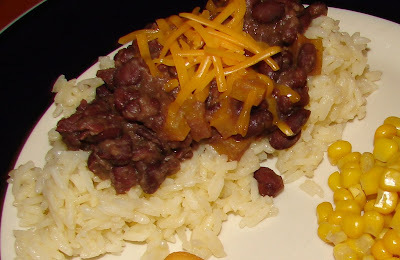 The kids liked them, but hubby wouldn't even give them a shot -- he doesn't like black beans at all. They are traditionally served with a 'sauce' of ketchup, mayo, and garlic, which I did make and try but forgot to photograph.